What is a lower face and neck lift? A lower face and neck lift (sometimes called a lower face lift) can help tighten the bottom third of your face, including your lower face, jowls and neck area. This surgery tightens underlying skin structures that slacken with age. Eliminate sagging jowls, lax skin and down turned corners of the mouth so your face and neck are more visually appealing. Structure: The appearance of premature ageing may result because of your underlying bone and facial soft tissue shape. For example, because bony prominences reduce over time, a small chin may lead to early loss of your jaw line definition. Gravity: During the ageing process, your brow, jaw line, neck tissue and cheeks can droop and become lax. This results looseness of tissues, such as the folds around your mouth. Volume: When you were younger, you had full, plump facial tissue. With ageing, the loss of volume in parts of your face including your cheeks or lower eyelids can result in a drawn or tired appearance. Texture: The ageing process causes changes to the texture of your skin. This will be more prominent if you have fair skin. Textural changes also include wrinkling, loss of elasticity, pigment changes, broken veins and dry patches that can be attributable to sun damage. Lower face and neck lift surgery is the best way to reverse the effects of ageing and gravity in your lower and mid face. This type of facelift repositions fat and muscles and removes excess skin, which results in your cheeks and mid-face elevating, your jowls reducing, and a more defined jawline appearing. Who is suitable for lower face and neck lift surgery? Lower face and neck lift surgery is an option for people who feel that their face is ageing, where non-surgical treatments are not sufficient, and where they are in good health and of a healthy weight. It is important to note that most surgeons will not perform facelift on active smokers. If you are interested in having lower face and neck lift surgery, and want to know if you are a good candidate for the treatment, it is very important that you have consultations with a few highly trained and experienced Cosmetic Surgeons. How does lower face and neck lift surgery differ from a full facelift? Full facelift surgery is a combination of a lower facelift, mid facelift and a brow lift. A full facelift will rejuvenate your face from the forehead to your neck. How is lower face and neck lift surgery performed? 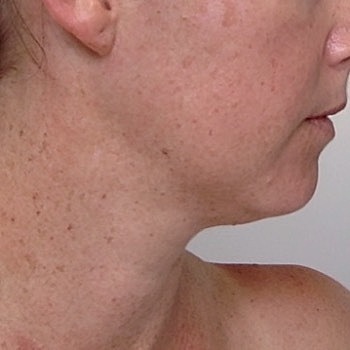 A limited-incision neck lift uses incisions only around the ears. While the scars are less visible and the incisions are shorter, the results of this approach can be more limited. 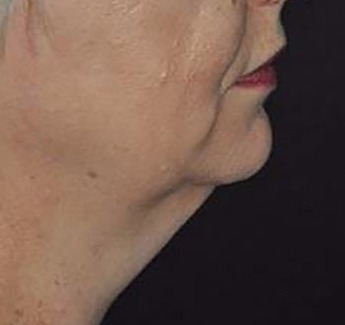 If you have excess skin below the jawline, on the neck or have small deposits of fat accumulated under your chin, a neck lift procedure may also be required. Liposuction can be used to remove excess fat in some cases while slim patients will only have the platysma muscle tightened and excess skin removed. 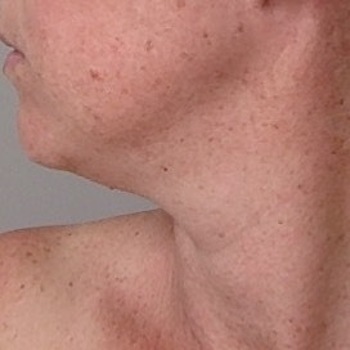 The neck lift incision is made across the front of the neck. Most lower face and neck lift surgeries take between 4 to 5 hours. For your comfort and safety you will need to stay in hospital for a couple of days. Most patients experience only minor pain that can be easily relieved with pain medication. You will have some bruising and swelling of the face and that neck that usually decreases within 3 weeks. Choosing to have lower face and neck lift surgery is a big decision. It usually involves up to a month of recovery time. After lower face and neck lift surgery your face should look younger. Most people who have this surgery are more comfortable and confident with their appearance. All patients having these types of procedures where the skin is undermined become numb in the cheek and temple area, in front of the ears, and sometimes in the upper neck. This may last for weeks or months and can feel strange. It will generally improve over time. Driving can be resumed once you are comfortable, can react quickly if necessary, are not taking strong painkillers and can see normally. After facelift or eyelid surgery, you can usually resume driving after seven to 14 days. Heavy exercise is to be avoided for at least three to six weeks following surgery. A period of psychological adjustment is common after lower face and neck lifts. Patients often go through a variety of moods postoperatively. Once the postoperative period of swelling, fresh wounds and bruising passes, most patients feel positive. What’s the recovery time after lower face and neck lift surgery? After lower face and neck lift surgery, your face will look bruised and feel swollen. It may take from 2 to 3 weeks for this swelling to settle. Most facial procedures result in discomfort, rather than pain. To limit pain and nausea, you will be given medication. You may experience numbness in your lower face and neck as a result of the local anaesthetic that was used. Driving can be resumed once you are comfortable, can react quickly if necessary, are not taking strong painkillers and can see normally. It is recommended that you avoid heavy exercise for at least 3 to 6 weeks following surgery. Patients should allow around 3 to 4 weeks before resuming work and social activities. Scars are initially pink and unless you have olive, brown or Asian skin they should fade to white in about 12 to 18 months. Makeup can be used to camouflage the scars. What results can I expect from lower face and neck lift surgery? It is important to have realistic expectations before you have lower face and neck lift surgery. Your Cosmetic Surgeon will discuss whether your expectations are realistic or not. After your face has been rejuvenated with lower face and neck lift surgery, you will look better for your age. Lower face and neck lift surgery will not make you appear 15 to 20 years younger. Are there risks or complications with lower face and neck lift surgery? What are the specific risks and complications of lower face and neck lift surgery? Scarring: All surgery leaves scars, some more visible than others. Although good wound healing after a surgical procedure is expected, abnormal scars may occur within the skin and deeper tissues. Scars may be unattractive and of different colour than the surrounding skin tone. Scar appearance may also vary within the same scar and may be asymmetrical). It’s possible to get visible marks in the skin from sutures. In some cases scars may require surgical revision or treatment. Nerve Injury: Motor nerves may be injured during a facelift operation. This is rare, but if it occurs it can cause weakness or loss of facial movements. Nerve injuries may cause temporary or permanent loss of facial movements. These injuries may improve over time. Healing Issues: Certain medical conditions, dietary supplements and medications may delay and interfere with healing. Patients with diabetes or those taking medications such as steroids on an extended basis may have prolonged healing issues. There are general risks associated with healing such as swelling, bleeding, possibility of additional surgery, prolonged recovery, colour changes, shape changes, and infection. Bleeding: It is possible, though unusual, to experience a bleeding episode during or after surgery. Increased activity too soon after surgery can lead to increased chance of bleeding and additional surgery. It is important to follow postoperative instructions and limit exercise and strenuous activity for the instructed time. It is important not to take any aspirin for at least 10 days before or after surgery, as this may increase the risk of bleeding. Non-prescription “herbs” and dietary supplements can increase the risk of surgical bleeding. Infection: Infection is unusual after facelift surgery. Should an infection occur, additional treatment including antibiotics, hospitalization, or additional surgery may be necessary. Firmness: Excessive firmness can occur after surgery due to internal scarring. The occurrence of this is not predictable. Change in Skin Sensation: It’s common to experience loss of skin sensation in the areas that have had surgery. This may not totally resolve. How do I choose a lower face and neck lift Cosmetic Surgeon? Lower face and neck lift surgery is a cosmetic operation to make your face and neck appear younger. This surgery is usually safe and effective but complications can happen. Your Cosmetic Surgeon will inform you about any risks and complications. You can find the best Facelift Cosmetic Surgeons in Australia here. Although good results from this type of surgery are expected, there is no guarantee or warranty expressed or implied, on the results that may be obtained. The face is not symmetric and almost everyone has some degree of unevenness, which may not be recognized in advance. One side of the face may be slightly larger, while the other side of the face may be droopier. Some issues with your lower face and neck may not be fully corrected with surgery. So you can make an informed decision, your elected surgeon will discuss the possible risks associated with a lower face and neck lift. Although the majority of patients do not experience these complications, it's important to understand how they can be managed in the event that they occur. double chin. 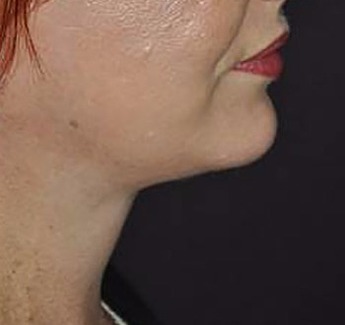 lower face lift/necklift or liposuction?